In this episode we get together to talk about how to get the most out of the new year as well as answer a load of questions from our community. We had a great time recording it and hope you have a great time listening to it! Make sure you comment below! 15:13 – How do you think about risk? 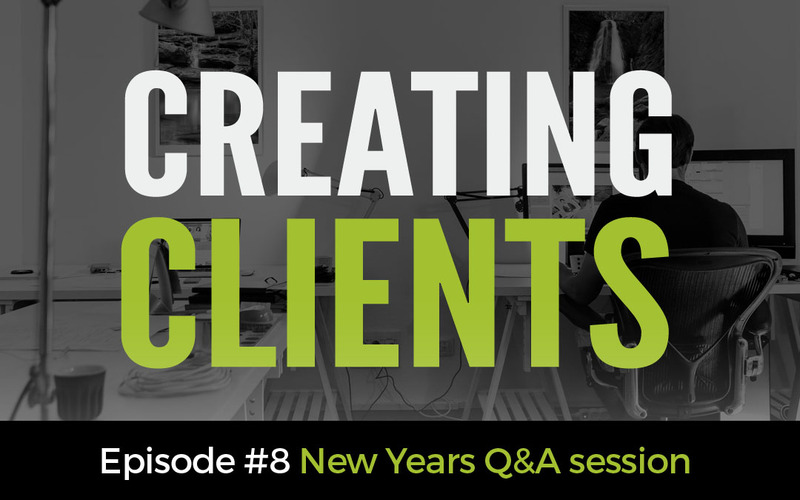 20:30 – What would be the number one way to get at least one new client in the next week? 23:29 – How do you start a cold interaction? 36:34 – What’s the best way to share projects as a team so everyone’s working strong, with integrity, and making good money without burning out individually. How to command a project without being undervalued by the client or potential client, especially on freelance sites. 42:45 – Can you show us or demonstrate how a person with the willingness to learn, a laptop and wifi connection can start a web business with $0 investment? 49:53 – What would be your best advice for someone looking to grow their freelance career this year?